Jersey Island is one of the Channel Islands along with Guernsey. 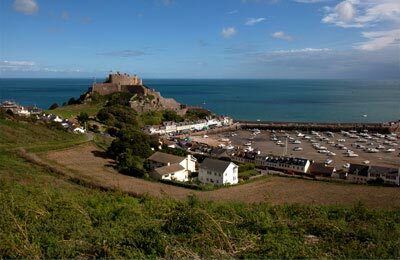 Jersey is the largest of the Channel Islands at nine miles by five. 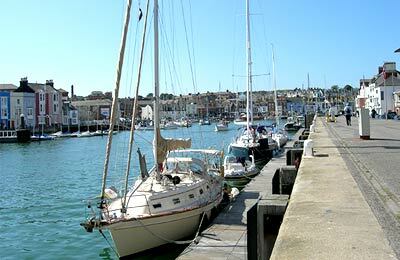 There are ferry routes to and from Jersey including services to St Malo and Guernsey operated by Condor Ferries. You can book all these routes online easily with AFerry. Below you can also see the latest cheap prices for ferries to Jersey. AFerry always has offers and cheap prices on ferries to Jersey and you can also compare prices using the unique comparison search. Below are the cheapest prices our customers have found recently. If you see an offer you like below, just click the Get Price button to book. Manche Iles Express offers ferry crossing to Jersey on-board high speed catamarans for foot passengers only. The terminal is open from 0600 until 2230. Facilities include a cafeteria, bar, gift shop, disabled toilet and baby-changing facilities. There is a public parking in front of the Elizabeth Harbour terminal, charge 50p an hour. Maximum stay is 5 days and charges apply seven days a week, including Bank Holidays. Condor Ferries' docks are in the Jersey ferry port of St Helier. Once you have approached the Route De La Liberation roundabout take the 2nd exit onto La Route Du Port Elizabeth. Then just follow signs to the Ferry port. The number 19 bus service operates Monday - Saturday only from Elizabeth Terminal and takes 10 minutes to the main bus station - Liberation Station. Tickets can be bought on the bus. Liberation Station is located just behind Jersey Tourism, Liberation Place, The Esplanade, St Helier.